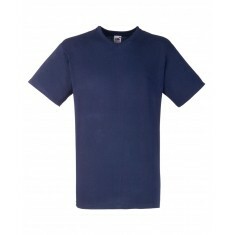 Personalised V-neck T-Shirts more your style? 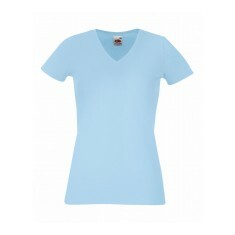 This category contains our selection of V-neck tops all of which can be branded with your design. 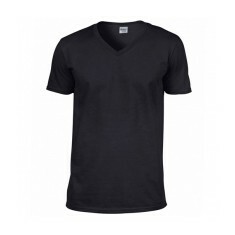 Promotional V-neck T-Shirts are an outstanding choice if you are looking for an alternative to a crew neck top. Our range of custom printed V-neck T-Shirts can all be branded via either printing or embroidering your design and can be personalised in a variety of areas. 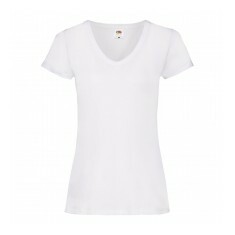 With both mens and womens fit, we're sure to have a customised V-neck T-shirt to suit you. One of our most classic from this range is the custom printed Fruit of the Loom Valueweight V-Neck T-Shirt. Available in 7 classic colours and made from a Belcoro yarn for a softer finish. Made with 160gsm thickness, this top is a comfortable thickness for wearing under your jacket. This V-neck is also available in a women’s fit as well. Pop your favourite into the basket to get a quote for personalising your V-neck T-Shirt. Low V-neck style. 100% cotton. Soft touch. 160gsm. Ideal for branding. Ladies white V-neck short sleeve T-Shirt in 100% ringspun cotton. Prices for w.. If you are looking for a comfortable garment for your events then look no furt.. 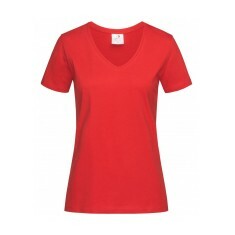 Stand out at your event with our branded Gildan Softstyle V-Neck T-Shirt. Avai..
95% cotton with 5% elastane for good shape retention. Weight: 200gsm. Prices a..